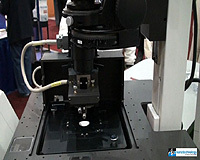 Park Systems launched the NX10 atomic force microscope (AFM) recently and showed it for the first time at the MRS Fall Meeting in Boston. 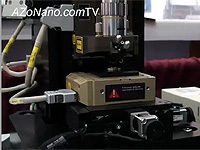 Mark Cyffka takes us for a tour of their all new AFM which is claimed to be the world's most accurate AFM. The NX10 also features a new user interface with improved user friendliness and ease of use and machined metal components that are thermally matched to reduce drift.